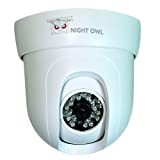 Night Owl's CAM-PT-624-W is a hi-resolution Pan and Tilt camera (600 TVL) that easily connects to all Night Owl DVR systems. 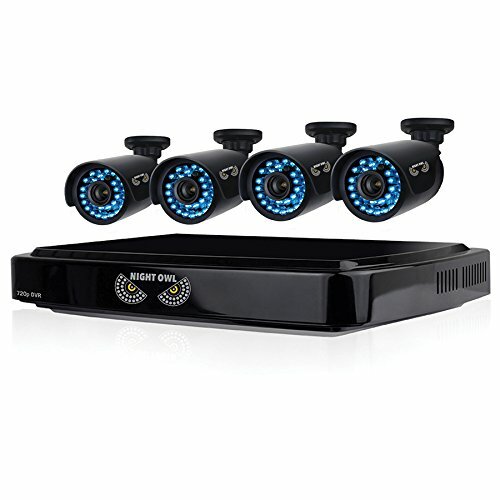 When connected to a DVR the camera's pan and tilt functions can be controlled remotely from the Internet or from compatible Smartphones and Tablet PCs. Away from your office but need to pan a camera between different employee desks? You can do that remotely, from your phone or tablet. See something suspicious at home but it moves out of the camera range? You can pan or tilt the camera view as needed, from any remote location. The CAM-PT-624-W is also Night Vision ready, allowing you to see in complete darkness from over 50 feet away. Key Features: Indoor Pan and Tilt Camera (White) 600 TV Lines Resolution 50 Feet Night Vision 100 Feet Easy Connect Video/Power/PT Cable Easy to Install Ceiling Mounting Bracket 1 Year Warranty Compatible With all Night Owl Systems 24/7 Technical Phone Support (English and Spanish) 24/7 Web Support Customer Support: All Night Owl security products come with full technical support, 24/7, 365 days a year (including iChat support* and a Bilingual Help Desk). If needed, our Help Desk will also remotely access your DVR for setup assistance.